If you’re planning a trip to Japan, you should try to spend at least one day in Nara. This former capital city contains countless cultural artifacts, temples, and shrines. With the added bonus of being just 45 minutes from Osaka and barely over an hour from Kyoto (via shinkansen), it’s a super-simple day trip. Nara represents a significant part of the country’s history and is a great way to round out your Japanese adventures. From the adorably polite deer that roam the city to the intricate Shinto shrines and thousand-year-old temples, this city has numerous unforgettable attractions. You can get away from the bustle of Tokyo or Osaka and enjoy the fresh country air while exploring Japan’s rich history. Not sure where to begin? Start planning your trip with this complete one-day Nara itinerary. As mentioned, Nara is just a short trip from both Osaka and Kyoto. If you skip Nara, you’ll miss out on Japan’s most famous cherry blossom spot and the site that is considered the cradle of Japanese civilization. While the city holds many historical treasures, it’s also a major tourist destination and has a large metropolitan area. The population of Nara is over 350,000. Besides ancient shrines and temples, the city offers many upscale shopping centers and fine dining experiences. It’s a unique blend of both the past and present. Like most of the city itineraries at Treksplorer, I’ll warn you that spending 24 hours in Nara may not give you enough time to see all the sites. However, you can cover a lot of ground with the following itinerary. Preparing for your Nara itinerary? Don’t forget to protect yourself with travel insurance! Travel insurance from WorldNomads.com is available to people from 140 countries. It’s designed for adventurous travellers with cover for overseas medical, evacuation, baggage and a range of adventure sports and activities. If you want to fill your day with as much fun as you can handle, start early. You should try to get off at the Kintetsu Nara Station by approximately 8am. This should give you plenty of time to hit all the sites on this Nara itinerary. When you get off the bus, head two blocks south. 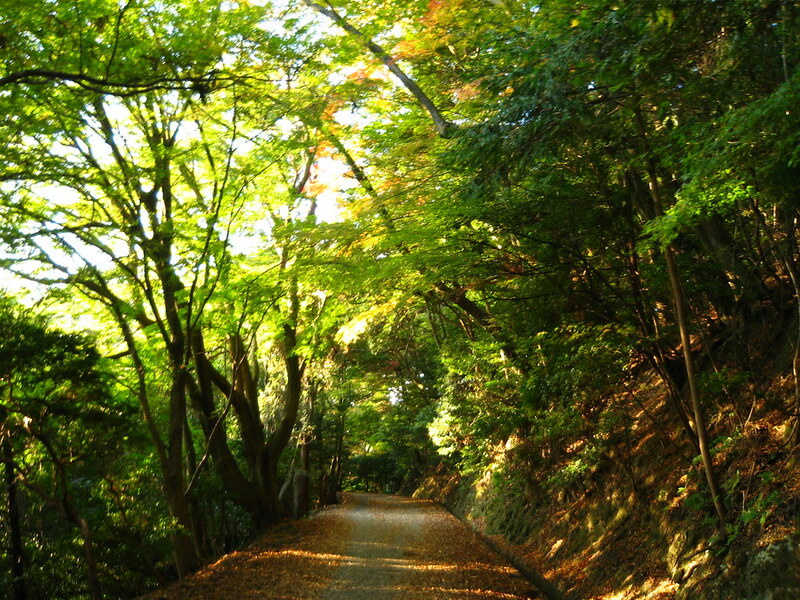 Once you reach Sanjo Dori, walk east one block to Nakatanidou. 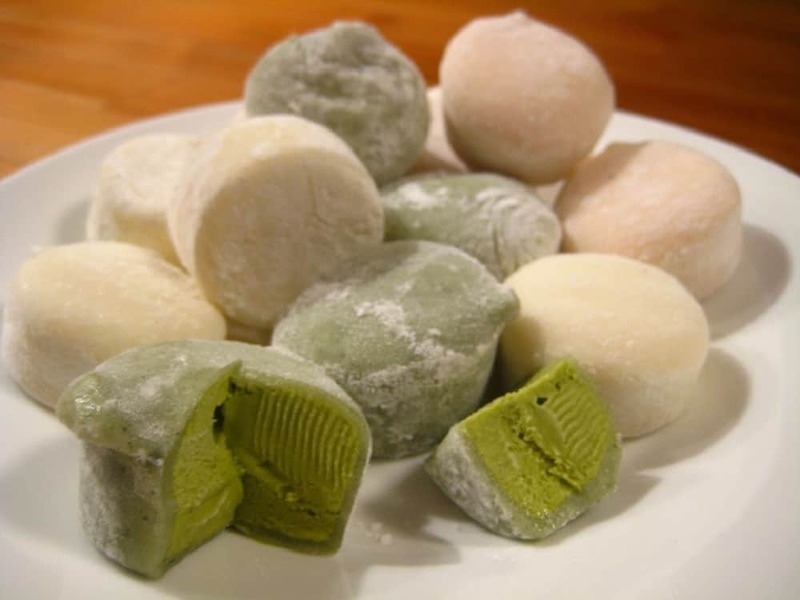 Famous for its mochi, or sweet rice cakes, this shop opens early and offers a wide selection of tasty Japanese treats. It’s a great spot to grab some omiyage to take back home with you for family and friends, and also a fantastic place to start the day, by indulging in a bit of a sugar high. If you don’t like eating dessert so early in the morning, there are plenty of other options along the walk, including other familiar Western-style fast food restaurants. When you’re done fueling up, continue east on Sanjo Dori. You’ll pass several cool attractions, including a couple of ancient temples. There’s also a public toilet on the way if you need to stop. You’ll eventually reach a major thoroughfare, labelled as 169 on maps. Head north toward the Nara National Museum. 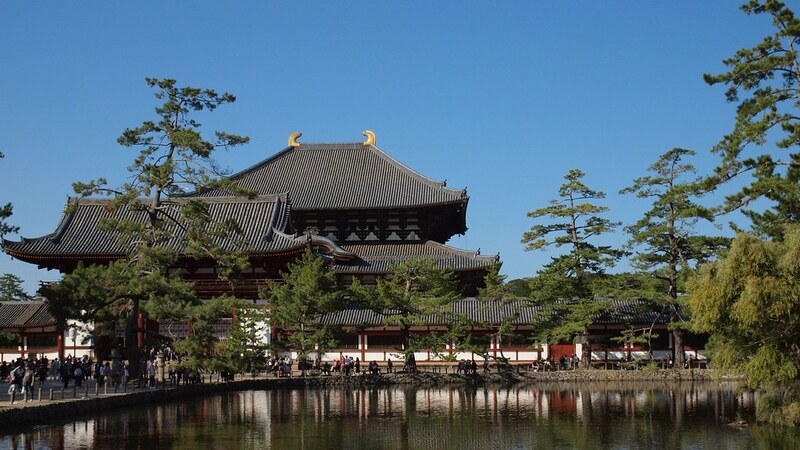 Instead of stopping in the museum, walk past it on your way to the Todaiji Temple. If you want souvenirs, you’ll have lots of time to check out the museum on your way back to the station. Todaiji Temple is one of the top things to do & see in Nara and is home to the world’s largest statue of Buddha cast in bronze. It’s also housed inside the world’s largest wooden building. The towering Buddha is a grand spectacle and represents a great way to begin your cultural tour of Nara. The temple itself was built over a thousand years ago and is conveniently located in the northern section of Nara Park. After spending a little bit of time walking around the temple, start to make your way south through the park. The park is home to a controlled population of free-roaming deer (that bow!). The deer are considered Shinto messengers from God and are designated as a Japanese national treasure. They’re also accustomed to the human population and aren’t shy about coming up to visitors for food. As you stroll the park, you’ll see vendors selling deer crackers. One of the highlights to visiting the city is feeding the deer, but if you’re empty handed, it’s best to avoid them if you don’t have any treats. They’re notorious when it comes to stingy tourists! Be prepared, if you approach a deer without food, to risk getting nipped. There are several other sites that you can check out in the park, including the Isuien Historic Garden. If your goal is to fit as many destinations into your day as you can, however, you should walk to the Manyo Botanical Gardens. The gardens are in the southern part of the park, just a short walk from the temple. The impressive Manyo Botanical Gardens are also of historic significance and include several hundred varieties of plants that are featured in the Man’yoshu, a famous collection of ancient Japanese poetry. The gorgeous botanical gardens are lovely early in the morning. If you’ve made good time you’ll still have an hour or two before the afternoon sun arrives. 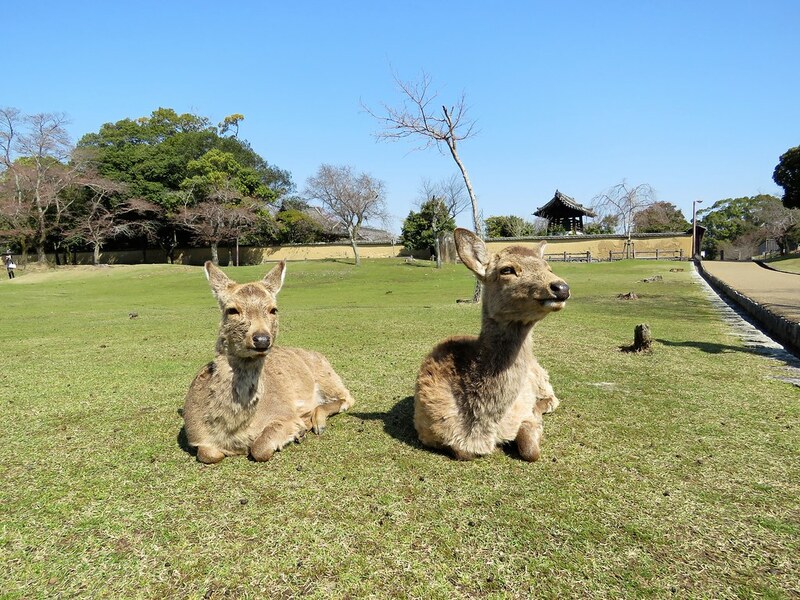 The gardens are a part of Nara Park, and you’ll have one more destination to hit before leaving. When you have had your fill of smelling flowers and hiding from deer, continue walking west through the park towards its impressive primeval forest. If you’re starting to get hungry, take advantage of the many vendors selling various treats and street food. Try dango, which is a rice dumpling served on a stick. If you’re not quite ready to eat again just yet, you’ll also have the chance to grab lunch at other places along the way. As you continue west, the landscape will start to change. Some of the thick trees and foliage will give way to twisted trees that line the paths. Welcome to the Kasugayama Primeval Forest. The forest is largely untouched by humans and spans about 250 hectares within Nara Park. After taking in the forest and getting your fill of nature, it’s time to go shopping. Start walking back to where you entered the park. If you’re making good time, you can stop at the Nara National Museum that you passed on your way in and pick up some momentos. Once you’ve left Nara Park behind, it’s time to head to the Higashimuki shopping district. The shopping area is roofed, providing welcome shelter from the midday sun. It should be early afternoon at this point and you may be ready for a real meal. The shopping area provides plenty of options for filling your stomach and buying a few souvenirs to bring home. Like most areas of Nara, you can find a little bit of everything in Higashimuki Market. You can dine on Western-style cuisine or traditional Nara dishes such as persimmon leaf sushi, mehari rice balls, or somen noodles. You’ll also find many restaurants and vendors is selling manju. These steamed buns are filled with red bean paste and noodles, providing a quick, filling lunch. There are all types of restaurants to choose from to including Western-style sit-down, street style vendors, and small ramen bars with stools. When you’re done shopping and eating, you’re pretty much right back where you started your journey – at the Kintetsu Nara Station. This one-day Nara itinerary has only included one stop at a temple thus far. It’s only fair that you also visit one of the most famous shrines in the area. Pack up your purchases from Higashimuki Market and get back on the train at Kintetsu Nara Station. Get off at Koriyama Station. If you chose to, you could walk between Kintetsu Nara and Koriyama stations (it’s about 20 minutes), but you will need to arrive before 5pm. You’ll know that you’ve reached the next destination when you see a bright-red torii gate adorned with images of a fox. The shrine is considered one of the top 3 shrines in all of Japan and is the shrine of the Genkuro Fox Legend. As it plays an important part in Japan’s famous Kabuki play “Yoshitsune Senbonzakura”, many kabuki actors visit the shrine to pay their respects. Purchase your own fox mask at the shrine as a unique reminder of your travels. The final stop is just a short walk from the shrine. Walk directly north from the shrine, along the 108. You’ll pass through several residential areas before reach the Naramachi district. Naramachi is the oldest merchant district in the city and offers a selection of shops, restaurants, bars, and museums. It also provides plenty of chances for more shopping if you’re still looking for unique gifts or momentos and is a great place to wind down after a day full of sightseeing, offering options for dinner or a late-night snack, depending on when you arrive. The district is another historic area, with many old buildings and winding streets. While it’s easy to get lost in a labyrinth of alleys and side streets, you’ll eventually find yourself at one of Naramachi’s major thoroughfares. If you slowly make your way north through the crowded streets of Naramachi, you’ll eventually reach Kujo Station. You can catch a train back to your hotel or spend a few more hours enjoying sake, shochu, beer, and more late-night food. If you’re not ready for sleep, take a train from Kujo Station back to the starting point. Some of the best cocktail bars in Nara are right next to Kintetsu Nara Station. By eight or nine in the evening, the area around the station will be full of people. This is a great time to experience more of Nara’s culture. Visit the Lamp Bar or Hot Staff. Both options serve greasy late-night food and cold cocktails. At this point, your day in Nara should be complete. 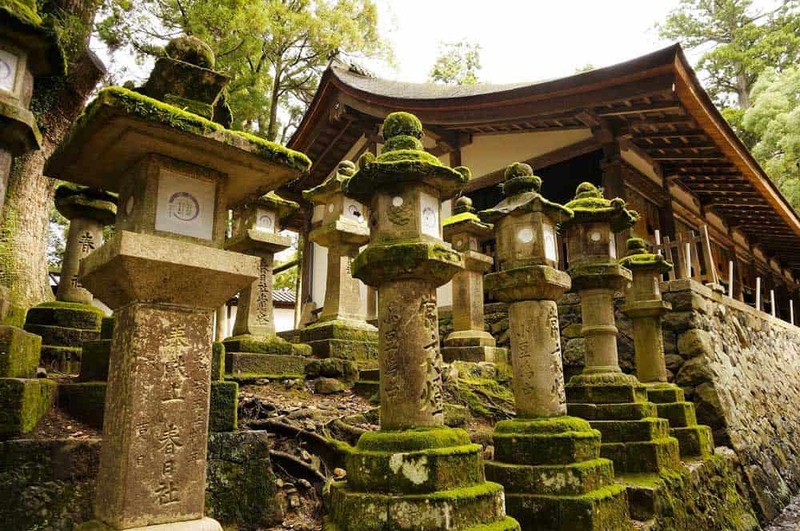 While this itinerary doesn’t take you across the entire city, you do get to cover a pretty big section of Nara, and get a great mix of natural beauty, ancient history, and modern nightlife. Unlike nearby Kyoto or Osaka, choosing where to stay in Nara is a cinch. For travellers, the areas around Nara Station, Kintetsu Nara Station, and Nara Park are among the best places to stay in the city as they are convenient for both transportation & sightseeing. Guesthouse Nara Komachi: A lovely central guesthouse offering cozy pleasant rooms that won’t break the bank. JR Nara Station lies just a couple blocks away. Centurion Hotel Classic Nara Station: Among the top mid-range picks in Nara, this hotel provides awesome value with larger-than-average rooms in a superb central location. Onyado Nono Nara Natural Hot Spring: An excellent alternative to a traditional hotel, this lovely property, located next to the main train station, offers guests an on-site onsen (hot springs) experience in the heart of the city. By train: Like most destinations in Japan, the best way to get to Nara is by train. If you’re planning your one day in Nara as a day trip from Osaka, the most popular route is the Rapid Express train from Namba Station to Kintetsu Nara Station. The journey takes just 39 minutes and costs ¥560. If you’re venturing to Nara as a day trip from Kyoto, the Express Kintetsu trains from Kyoto Station are your best bet. The journey time is approximately 43 to 50 minutes and will set you back just ¥620.